The ethnic style always maintains its great charm. In this application we show you the CHIFFON and TRÉSOR finishes, chosen to embellish an aesthetic center with their design in shades of red and orange. 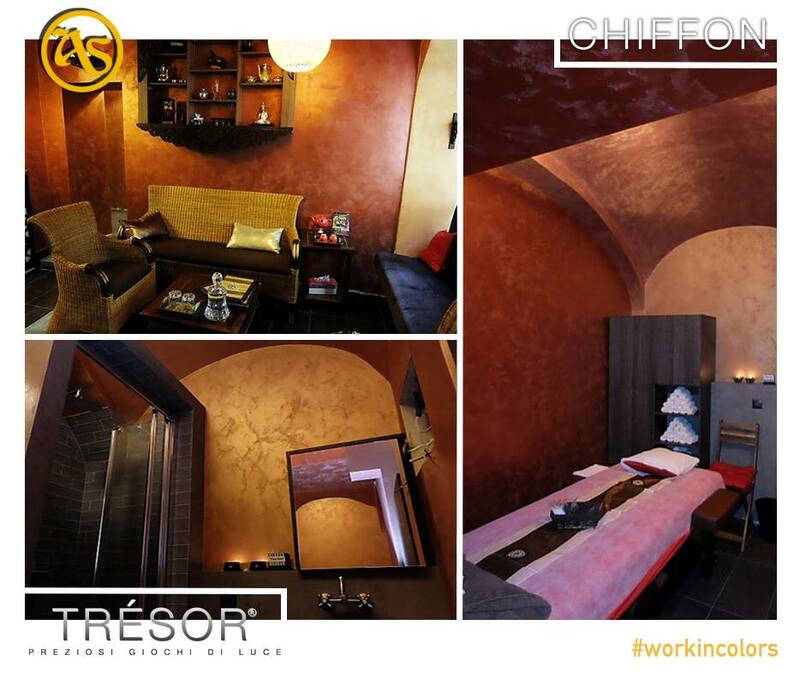 Inspired by the warm atmosphere of the African continent, the walls convey a pleasant sense of harmony and well-being. Subscribe to our newsletter to receive latest news!